The world of travel has progressed slowly over the years. Sure, new ways to book trips and get from Point A to Point B have come along, but the basic principles of a vacation have stayed the same. 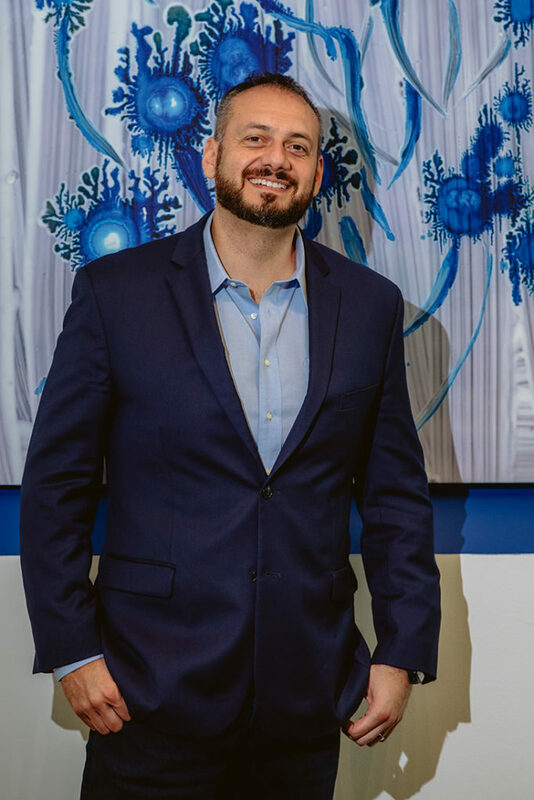 Seeing an opportunity in the tourism market, Valentino Danchev started working with Vida Vacations, a luxury destination club that provides access to some of the most exceptional resorts in Mexico. His aim was to expose the world to this high-quality level of luxury travel and just how accessible it is, thereby transforming the typical vacation experience from ordinary to extraordinary. In his time with the company, Danchev has succeeded in this goal and now more travelers are finding their ways to Mexico for unforgettable dream getaways. The country is the sixth most popular tourist destination in the world, and Danchev has used its strengths to attract travelers from all over the globe. As Mexico’s tourism stats continue to increase, so does Danchev’s ambitions about revolutionizing the travel industry so that luxury vacationing is attainable for all. Can you tell us about Vida Vacations and what new clients can expect from the company? Vida Vacations offers access to spectacular vacation experiences through bespoke memberships that prioritize the unique needs and traveling preferences of individuals and families. Through Vida Vacations, new clients can expect uncompromising quality and unequaled luxury in their vacations, as well as the ongoing support and amazing service of a company that is here to make your every travel dream a reality, year after year. What led to the formation of Vida Vacations? The only way any company can change the world—no matter how good their product is—is by getting it into the hands of as many customers as possible. This is the purpose behind Vida Vacations, to build awareness around the type of extraordinary experiences to which we provide access. And since Vida Vacations is founded around bringing happiness to families everywhere through these experiences, we have had a positive impact on many lives over many years. We also have impacted the lives of our own team, who has the opportunity to grow personally and professionally through this company. 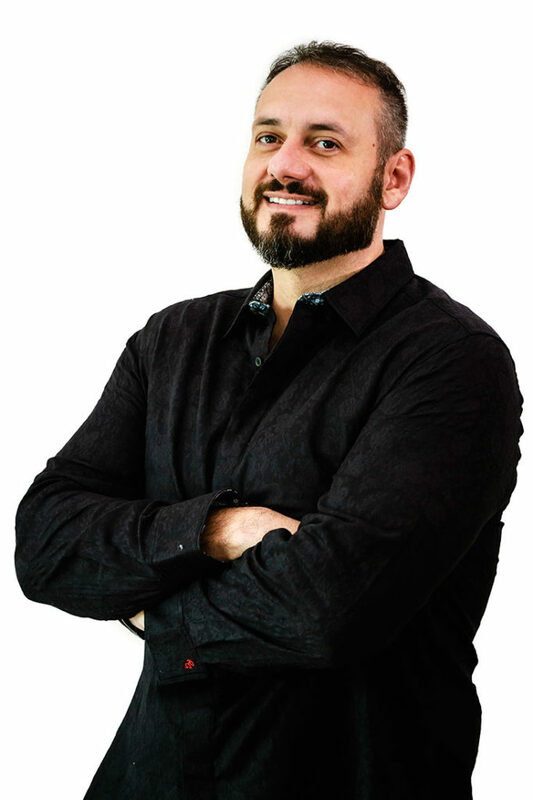 As Sales Director at Vida Vacations, Danchev has had a direct hand in revolutionizing the tourism business model. He has helped the company uncover ways to make the experience of a vacation even more rewarding. By researching their customers and knowing more about travelers than ever before, Danchev has placed himself on the cutting-edge of the tourism industry. Vida Vacation’s tourism business model has been called ‘revolutionary’. How did the company establish this unique way of offering holidays to customers? Our way of offering vacation experiences to customers was developed as a response to the way the client has changed over the last several years. For example, the attention span of a person listening to someone in the 1980s was about 20 to 25 minutes. But today, we see a maximum 5 to 9 seconds of undivided attention in your typical consumers. And these customers are more and more used to instant gratification thanks to the proliferation of “on demand” services in the world. So, in order to satisfy customers, companies these days need to find a way to present a product that is extremely relevant and immediately satisfying to people’s needs in order to earn their attention. Vida Vacations has built our whole approach on offering vacation experiences that provide the quality that exceeds clients’ wishes and dreams, but is also presented in a simple, concise way that does not exhaust attention spans. One of the biggest markets today is the Millenial Generation. Read interviews from experts in different industries, and there is bound to be conflicting information on the group. But Danchev has recognized the generation’s diversity and their vacation preferences. Yet he also understands that Baby Boomers continue to be a crucial market, eager to enjoy luxury travel. In the past, you have spoken about the ways in which travel has changed along with Millennials driving the industry. What types of vacations and attractions are interesting Millennials compared to previous generations? There are many misconceptions about Millennials: they are entitled, they don’t want to work, etc. The reality is that this Millennial generation is not as confident as it appears. It’s the generation that takes fewer vacations than any generation before, mainly because they are afraid of being offline from their job. So, we need to address these anxieties with empathy and create offers that make them feel comfortable going on vacations. Millennials recently became the largest generation in terms of numbers in the United States. At the same time, there are 5,000 people turning 65 every week in the U.S., but it is impacting the industry in a different way than many people and companies are expecting. First of all, there is still a huge opportunity in marketing to Baby Boomers. They have both the financial security and the time to travel, so any company that understands those dynamics and can provide a transition that includes both generations instead of excluding one or the other will dominate the market. It’s crucial to maintain a certain level of familiarity and consistency for the current Baby Boomer generation, while at the same time designing offerings that already attract the next generation. Along with Millennials changing travel, technology has too. How is technology changing the way people look at travel today? There is definitely a strong trend towards “shareability,” especially younger people who seem to be more worried about having an experience that gives great pictures and videos rather than really being in the moment. Another trend is instant availability. People are getting more and more used to services like Uber, Netflix, Amazon, etc. In the past, you would have had to wait, but today everything needs to be at their fingertips. This is something that we need to adjust to and take advantage of the opportunities it provides. While technology continues to make booking vacations easier than in the past, Danchev sees an importance to a personalized, completely custom approach. He believes no matter what generation a traveler comes from, they are always interested in human interaction in the vacation process. Websites like Booking.com, Expedia, and others get a lot of publicity for their simplicity to book vacations. Is there still a market for travel agencies with human interaction and guidance? This is becoming more and more important again. Yes, you can book everything online but it’s an overwhelming and time-intensive experience. Again, with over 5,000 U.S. citizens turning 65 every week, there is still a large population that is most comfortable having human interaction to assist in planning their trips. But even young people are looking for human interaction. It might be on a chat instead of a phone call or in-person meeting, but prompt and authentic communication is more crucial than ever. Some travelers may worry that luxury travel won’t showcase the authentic experiences they seek in a trip. But Danchev believes that a great vacation should never make you sacrifice culture and tradition for the sake of comfort and quality. How does Vida Vacations combine luxury travel with authentic travel experiences? Can they both be achieved on the same trip? Access is the new luxury. People want to have access to experiences that others don’t and share it with the world. They are willing to pay a premium for this exclusivity, so I don’t believe it’s a contradiction at all. In addition, social equity is becoming more and more important, meaning they want to surround themselves with social peers. This doesn’t need to happen at an immensely luxurious place. There are many events that demonstrate this trend such as music festivals where you will find many tech millionaires or other upper-class individuals enjoying the experience for social reasons, not the access to luxury it affords. Which most festivals don’t do much to provide. Vida Vacations provides access primarily to travel destinations that are located in Mexico. Are there plans to branch outside of Mexico and into other countries? Over the next few years, the focus will remain on Mexico as there are some major projects to finish. In the future, this may change. With Vida Vacations being based in Mexico, how important is the country to you and your career? Mexico offers tremendous opportunity. As the sixth most popular international tourist destination in the world, this country is quickly becoming the go-to spot for luxury vacations. And it makes complete sense—it’s conveniently located for North American and Latin American travelers alike; its natural beauty is absolutely jaw-dropping; it offers rich historical and cultural experiences that are truly one-of-a-kind, and the list goes on and on. Vida Vacations is showcasing all of these amazing attributes as well as adding on to them by providing access to the type of luxury and innovative vacation experiences that no one else in the country—and really the world—can provide. I can’t wait to see what new opportunities the next few years will bring for this country, but I know Mexico has an incredibly bright future, and part of that is because of the work Vida Vacations and other tourism leaders are doing. Mexico’s tourism industry continues to grow, in large part thanks to its location in North America. Proximity makes the country’s resorts especially appealing to people across the United States and Canada as well as South America. Vida Vacations has helped further establish the country’s reputation as the go-to international luxury vacation destination, and the company’s reputation as Latin America’s premier name in travel will only grow as more people find their way to Mexico’s luxury resorts. Danchev continues to revolutionize the tourism industry. For now, he is happy to build an even better experience for tourists in Mexico. 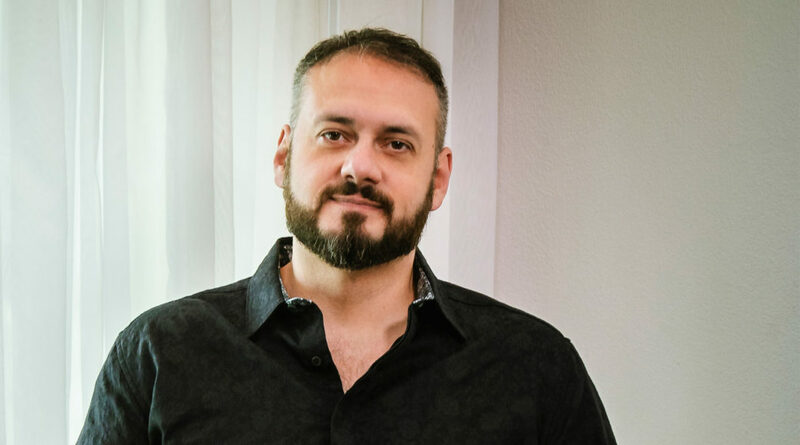 Thanks to Mexico’s incredibly bright future, and his connections to the country, Danchev sees nothing but great things in store for Vida Vacations and luxury travelers.